A review of Veronika Carnaby's debut novel, Bohemia, is slated to appear in the upcoming Issue 27 of Unique Bride magazine, on sale in late January worldwide. 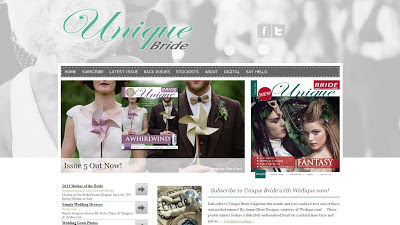 'Brought to you by the publishers of the popular Vintage Life Magazine', Unique Bride magazine published by Dragoon and focuses on the best of bridal and vintage culture. Grab your copy at all WH Smith retail locations throughout the UK or digitally worldwide via the the Unique Bride application. For more on Unique Bride magazine, please visit their official website or Dragoon Publishing.